Want to give a magnificent and grand surprise to your loved one. You should definitely go for this fabulous combo pack which contains a lots of toffees flavour. There are 4 Kinds of flavour chocolate like Caramel Chocolate, White Hare Chocolate, Anjeera Caramels and Arcellor Cafe Dew Chocolate in a Designery 4 Steps Container Box. This combo will be a wonderful way to express your love and care for your dear once. We are offering hygienic and fine quality multi flavored toffees to our most reliable customers which are situated all round the nation. These toffees flavored are available with us at special prices for our loyal customers. 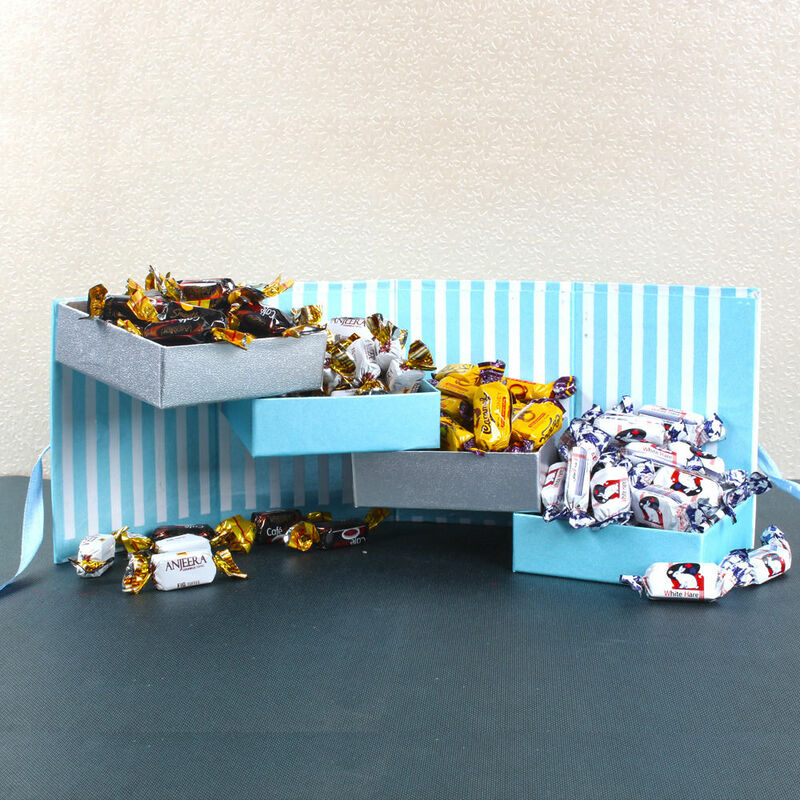 Product includes : Assorted Caramel Chocolate, White Hare Chocolate, Anjeera Caramel Chocolate and Arcellor Cafe Dew Chocolate (Weight : 400 gms) in a Stair Designer Box.